A federal employee with knowledge of the situation and who requested anonymity, told The Daily News Foundation’s Investigative Group that as House authorities closed in on Imran Awan and his brothers, a laptop used by Imran was hidden in an unused crevice of the Rayburn House Office Building. Wasserman Schultz’s office is in Longworth House Office Building, a separate structure. DWS: I’d like to know how Capitol Police handle equipment that belongs to a member or staffer that’s been lost in the Capitol complex and found or recovered by one of your officers. What happens? Chief: It’s processed on a PD-81 which is a property record, and depending on the property, depending on how you can legitimately determine ownership, it’s generally turned back over to the owner of a property. If it’s part of an ongoing case, then there are other things that have to occur for that to happen. 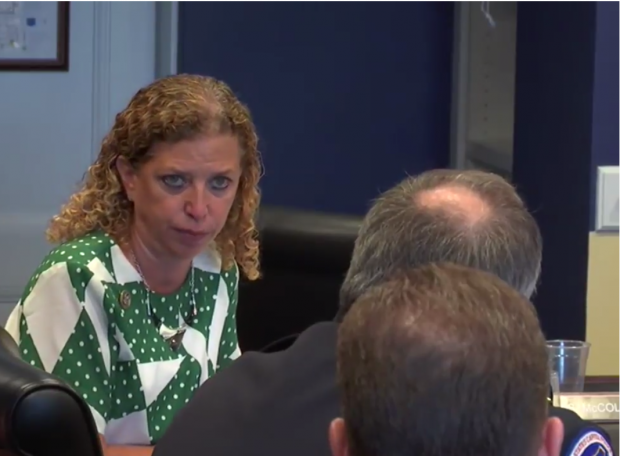 DWS: So if a member says there is equipment that has been lost, and you find it it would be returned to the member? Chief: In a general sense, yes. You have to be able to positively identify the property and be able to establish ownership. Chief: If it’s part of an ongoing case, then there are additional things that need to be done. DWS: But if a member owns the equipment, and there is no ongoing case related to that member, then the equipment is supposed to be returned. Chief: In a general sense, yes. DWS: No, I mean in a specific sense. If the member loses the equipment, says they lose the equipment, and it is found by the Capitol Police, it is supposed to be returned. DWS: OK, but not an ongoing investigation related to that member. If the equipment belongs to the member, it has been lost, they say it’s been lost and it’s been identified as that member’s, then the Capitol Police are supposed to return it. Chief: It depends on the circumstances. 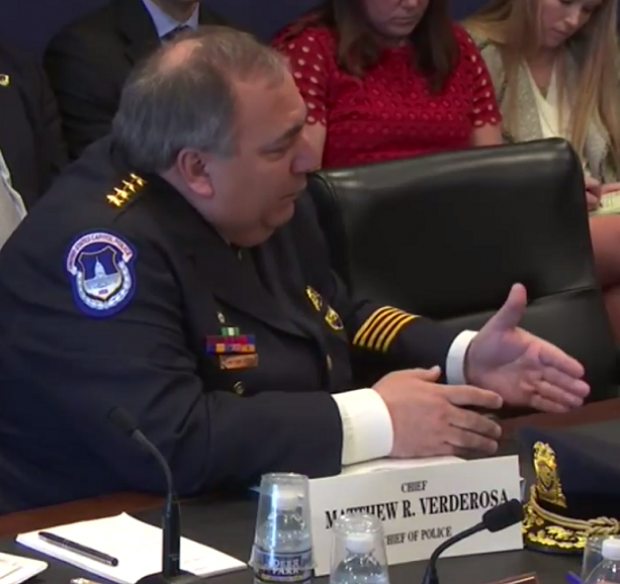 Chief: I think there are extenuating circumstances in this case, and working through my counsel and the necessary personnel, if that in fact is the case, and with the permission of through the investigation, then we’ll return the equipment. But until that happens we can’t return the equipment.